Nagkagulo na naman ang mga EPS workers dahil sa magandang balita na nakarating kani-kanina lang. Medyo disappointed ang labor groups dahil medyo mataas ang hinihingi nilang dagdag - 10,000 won per hour pero ang naapproved ay 6,030 won per hour, pero sa atin na mga Pinoy EPS workers ay mataas na rin naman siguro ito at malaking bagay na para sa atin. Announced Wednesday the South Korean Government Next year's minimum wage at 6 030 won ($ 5.14) per hour, up 8.1 percent from this year - grow at high rate from the ongoing opposition Labor unions and Management -. 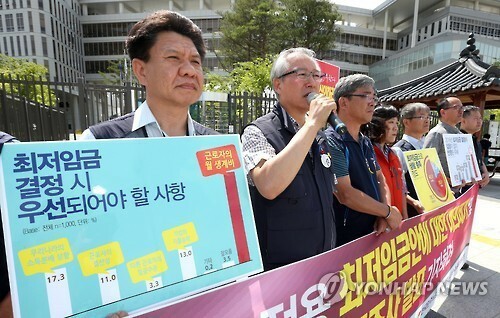 Vowing to strengthen the Enforcement to Prevent Fallout The hourly wage of 6030 won forty-eight thousand two hundred and forty translates to a Day won and 1.26 million won a month for Those who work eight hours a Day. The Government said the raise will Affect Pay an Estimated 3.42 million people, which makes up 18.2 percent of all the salaried Workers in the nation. I still hope din na sana with this increase, ay may increase din sa magiging savings ng bawat Pinoy na makakaavail ng increase na ito. 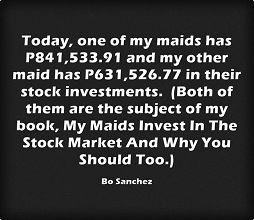 PS: Kung gusto mong matuto mag-invest sa stock market or simply wants to learn how to manage your finances, drop me a message. Email me from the contact form. PAALALA - MAG-RENEW 9 BUWAN BAGO MAG-EXPIRE ANG PASSPORT! SHOULD THE CHALLENGES IN BUSINESS STOP YOU FROM MAKING MONEY? Eduard Reformina Blog - Network Marketing Tips For Filipino Networkers. SK Pinoy - News and Information for Filipinos in South Korea.